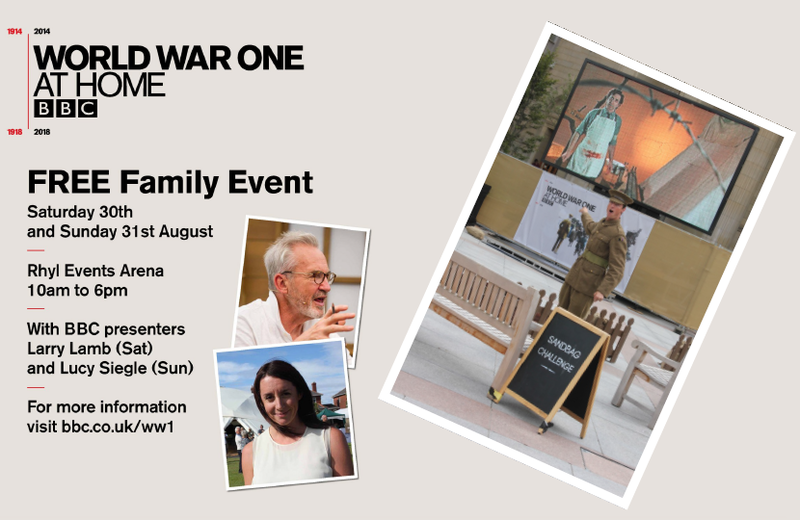 Visitors can volunteer to be put through their paces on an outdoor Parade Ground and children can take on Harriet’s Spy Quest as they try to solve a series of clues around the site, an activity inspired by CBBC drama Harriet’s Army. People can also learn how medicine and communications were transformed during the war, including demonstrations of how carrier pigeons were an invaluable resource for sending messages. They can try using Morse code, Semaphore, Field Telephones and radio equipment with the help of The Royal Signals Museum. The Royal College of Pathologists will show how developments in science helped to save the lives of injured soldiers, whilst the Cavell Nurses’ Trust will demonstrate the role of World War One nurses. The First World War was anticipated to be a short war and predicted to be over by Christmas 1914. In reality, the war lasted four years, having an enormous impact on Britain for both those serving and those at home. In previous wars, civilians had largely been untouched by war, but during the First World War they were affected more than anyone could have expected. The County of Denbighshire in 1914 was significantly larger than it is today. Before the formation of Clwyd in 1974, Denbighshire incorporated what is now known as the county of Wrexham and a large proportion of Conwy. With many Denbighshire men away at war the home population was struggling to cope with day to day life. Families were left without the support of their husbands and sons and the Denbighshire war pension committee papers reveal often tragic stories of the lives of those left behind. Women and families sought financial aid from the ‘Soldier’s Dependants Fund’ to cover the costs of living including rent payments, clothing, food and health care costs. War Pension Committee papers provide evidence of wives in arrears with rent payments and in some cases the debts of their husbands. Whilst appealing for the reduction in rates, J. Porter of Colwyn Bay serving on the committee stated that “it appears quite impossible for these women to provide for their families and to meet demands for rates”. There were cases of mothers dying whilst husbands were abroad leaving behind children who then had to be cared for by family members or admitted to the local workhouse. Returning husbands and fathers who had been injured caused many families continued struggle because they could not return to work. Some women entered work for the first time in order to cope financially and other were encouraged to take in lodgers to help cover their costs. Prior to the outbreak of war, women were still required to leave employment when they married and their natural role was at home. It is estimated that at least one million women entered the British workforce between 1914 and 1918 and had opportunity to work in areas such as transport, agriculture, banking and the civil service. Whether this was seen as a necessity to provide for their families or an opportunity for greater independence, it was a huge change for British home lives. Separation not only had financial implications for those left at home. Families of soldiers also had to deal with the emotional turmoil of being separated from their loved ones. People tend to be familiar with the anxiety disorder that is post-traumatic stress disorder or “shell shock” which resulted in many returning from the front displaying symptoms of mental illness. However, the way in which war affected the mental state of those at home is rarely considered. According to the annual reports of the North Wales Hospital (Denbigh Asylum), by 1916 thirty people had been admitted to the hospital since war broke out owing to war, none of whom had been in active service. 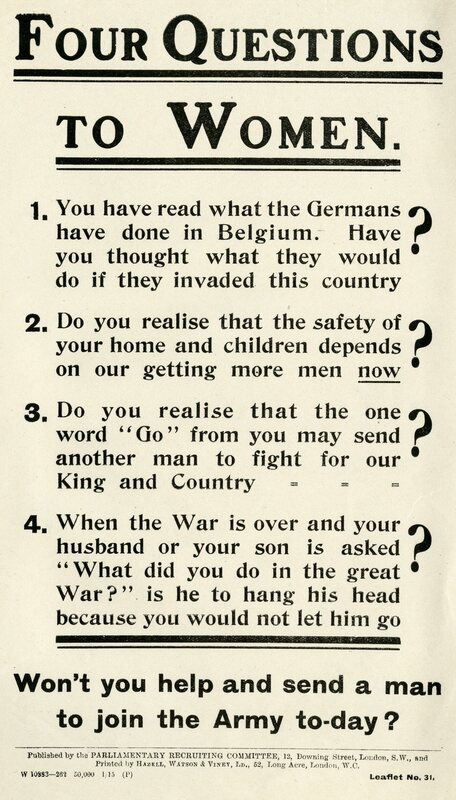 Women were being targeted by propaganda to encourage their sweethearts, husbands and sons to enlist and there are records of wives and mothers being admitted to the Denbigh Asylum due to grief and worry over missing or dead family. Some of the supposed causes of insanity stated in records of new patients entering the hospital included “loss of brother in the war” and “worry about son on active service”. We can see from these records that the anxiety and strain suffered by those at home was another result of war which has perhaps gone unnoticed in the past. The total number of cases acknowledging war as the cause of insanity had risen to 148 by 1919, including military and civilian patients. Hospitals like the North Wales Hospital were also dealing with losing a number of male staff when they left for active service. In the 1914/15 hospital annual report, it is specified that 19 male staff (over 20%) were serving in the forces and this was influencing the administrative arrangements and finances of the institution. As a result a number of retired members of staff were called upon as temporary replacements. This rose to 33 members of staff by 1915/16. Archives are enormously important for research into the First World War and without surviving records, our knowledge of what happened during the period 1914-1918 would be very limited. All of the archives used in this article are available to view, free of charge, at Denbighshire Archives in Ruthin. 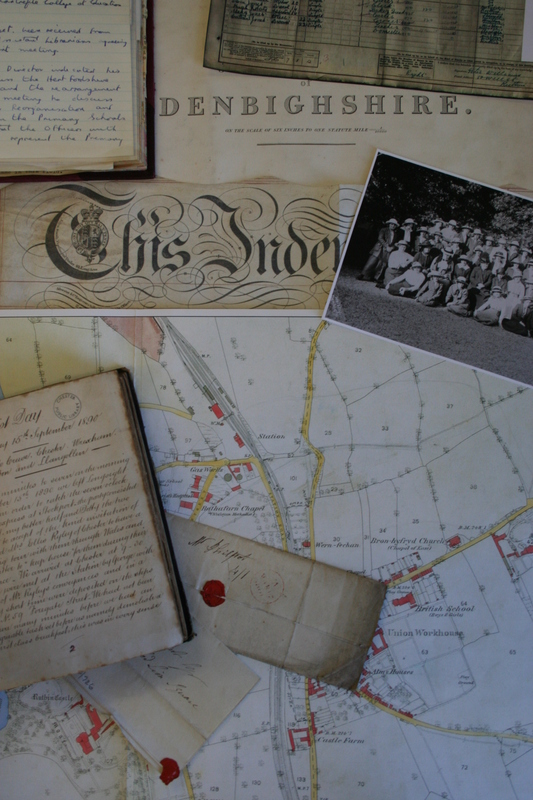 Archives are full of fascinating content to read, touch and explore. And most of it isn’t available from Google. If you would like to find out more about our collections, just search our index under the subject of “war” here. If you are interested in looking at records for those serving during the First or Second World War, The National Archives website is a good place to start.